You have probably come across one or other of the boxed set produced by Frémeaux & Associés. Each one constitutes a reference book on a chapter of musical, historical and/or geographical culture. In Patrick Frémeaux we meet a constructive visionary who, brick after brick, builds in his way what must be considered as a monument to audio culture. All of the boxed sets produced by Frémeaux & Associés fall, as regards their overall conception, within the province of genuine publishing. Some products come about by choice, others by opportunities. The overall connection is that of a corpus which is a collective memory, a musical and spoken audio heritage of mankind. Each time, therefore, the team considers wether the plan falls within its purview as a publisher. Commercially and fundamentally, the collection effect appears by definition, with such a large number of items. The catalogue – some 800 records – is considerable for a manager/founder 38 years old, over 20 years of the company… Frémeaux & Associés sells about one million records annually, but, if some albums sell several thousands in a year, others hardly reach 400 in ten years… Patrick Frémeaux has needed a kind of deep-rooted faith and a huge amount of work to impose on the retailers these types of products – boxes of one or several CDs with a detailed booklet, containing music, tales, songs, speeches, novels… And this faith is still very much alive. The sources used are numerous – phonographic collections, public or private recordings. The data bank of the I.N.A. 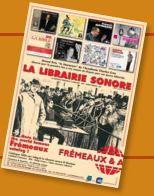 (French National Library for the Audiovisual Works) is for example and, as such, of the highest importance from the social, societal, cultural, musicological point of view. Indeed the spoken word and speeches take up as much space in Frémeaux’s productions as actual music. 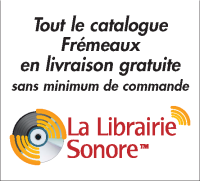 L’Etranger read by Camus or Celine’s historical recordings, General de Gaulle’s speeches, Michel Onfray’s Contre histoire de la Philosophie (400.000 records sold!) offer a sensory approach different from texts and thought. It goes back to our childhood, to tales, to orality in general. Perception of the vehicle of transmission of texts, knowledge and emotion is renewed. 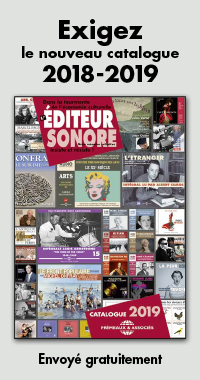 Nevertheless, popular music (and not only “popular”) has an essential place in the catalogue. The company started with a boxed set, The accordion vol. 1, co-published with the Discothèque des Halles, the first “Library of the city of Paris”. It was the musicological and popular history of the capital which was the focal point. The original idea in that box on musette accordion was to present it as the Samba in Rio de Janeiro or the Tango in Buenos Aires would have been presented. Its success was immediate, highly significant, to such an extent that all the major companies, a few years later, also devoted to it at least one compilation. In any case, it was the launching of Frémeaux & Associés. Subsequent productions naturally widened in scope. Roughly, historically, the media became concerned with “world music” - as being new releases for their display cases – only in the 1980s, with Johnny Clegg and Sawuka for example. But the movement of discovery and distribution of traditional and popular music is as old as mankind. Patrick Frémeaux’s theory is interesting: “For our part”, he explains, “we have noticed, from a historical point of view, that the fusion between cultures has expressed itself particularly since shipping transport started. We can thus link the music of the Samba in Brazil, the Son in Cuba, the Biguine in Fort-de-France and Jazz in New Orleans to the triangular slave trade in the 17th and 18th centuries. That trade led from European ports to Africa in order to exchange humans, slaves-to-be for cheap glass jewellery, cloth, ribbons… Then those men were taken to the West Indies or America to be sold. Exotic products (fruit, spices, fibres, dyes…) were brought and resold when back in Bordeaux, Guyenne or elsewhere. In all cases of original musical development, where African cultures remained vivid, harbours were obviously involved. They are always, as with other colonized regions, or for Fado in Lisbon, the basis of the musical mixture, which is not a recent invention”. In the “Country” boxed sets from Frémeaux, the subject is illustrated in a complementary fashion. Anyoen can hear, for example, that the popular music of the 1930’s and 1940’s takes up again the same tunes – with appropriate words (cowboy or settler’s stories) – as traditional Irish music or even British court or salon tunes of the 16th and 17th centuries (such as those sung by the Deller Brothers). The singer of “Will this cowboy come back from beyond the plains?” takes up again for himself the theme of “Will this sailor, lost beyond the seas, see his homeland again?”… Means such as singing, the harmonica – the easiest instrument to carry in a pocket – the bandoneon of the German sailors… have disseminated textual and musical structures through the harbours of the world, according to the routes travelled. “In return”, Patrick Frémeaux continues, “Haiwaiian music was played in Berlin in the 1930’s, Biguine or Tango in Paris… But, with the Second World War, notably for ideological and racist reasons, these mixtures of music were to disappear rapidly. The only music of ’fusion’ which was successful at that time, even though it was criticized, was Jazz. And several decades were necessary for the creativity of urban and mixed music as a whole to be heard again, recognized and accorded a status which could lead, through our productions and those of other labels, to a discography, a history of 20th century music. Only 30 years ago, this history was limited to a road leading from Wagner to Boulez and Stockhausen, with the addition of a few relatively despised traditions of Parisian and usually urban songs and dances. The creativity recognized in jazz was unrecognized or despised in other forms of music”. Indeed, even Tango was then only entitled to the description “exotic entertainment”, “musette from somewhere else”, and, like musette, without any admitted musicological reality. The new status of Tango is a much more recent thing. And yet, these forms of music which could be written down (a factor of recognition for academies) – and even if they were not! – have an intrinsic quality, from the musicological point of view, which is unquestionable, which makes them fascinating, but has long been ignored. “It is one of the unrecognized consequences”, Patrick Frémeaux continues, “of the trauma of the Second World War, which stifled the urban mixed music of the Interwar Years, a moment of triumph of West Indian music in Paris, for example”. 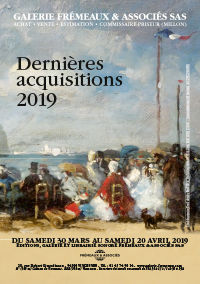 One of the motivations of Frémeaux & Associés publishers is precisely to come back to those foundations, those periods of fulfilment, in order to remove the blank of their post-war disappearance and re-create a link. The aim is to highlight a treasure which today is fully justified. It is the same for Gypsy traditions – in the long progression to Saintes-Maries-de-la-Mer and as far as Andalucia, and all along the way, one finds again and again melodies, harmonies. “Some of our volumes”, Patrick Frémeaux points out, “take this theory as their basis”. Patrick Frémeaux tries to define what motivates him to publish more widely. “The interested listening audience we would like to have would be intellectual, open, cross-disciplinary and would understand this cross-cultural aspect. Such an audience must represent 10 to 20 % of the whole public. The rest of the public is obviously attached to its culture, but is more readily prompted by a nostalgic attachment to the past than by a desire to share, exchange, compare and understand things historically… The people who slip into Great War uniforms, the specialists in Indian civilizations, those who save Romanesque churches, those who bend over manuscripts, those who collect old records… maintain the heritage. It must be accepted that these people have an enormous competence which does not necessarily lead to a dynamic cross-cultural view. Thus those who listen to and perform folk music are probably a real society, but apart and sometimes a little rigid. It is easier for the publisher of Frémeaux & Associés to have this wider point of view. Nevertheless, the person who, intellectually, would like or understand everything, does not exist… “People have their areas of preference. Let us take an example of such questioning into the motivations of potential audiences. Django Reinhardt’s complete works produced by Frémeaux & Associés embodies a European non-American Jazz. All this Gypsy and eastern country heritage which is generous and mixed is part of our intellectual ideal. These boxed sets of discs sell, for the most part, to people who take their content literally. Therefore the question is whether we will continue to sell them when they are of interest only to a few academics… As regards very old things, I notice that we manage to keep a high sales level only with people who, considering their age bracket, have nothing in common with those kinds of music or those spoken testimonies. It is encouraging”. Flamenco et sons naturels dans les marismas. Le marsupilami de la note bleue. Basie économise tout, sauf l'imagination, l'intelligence et la sensibilité.